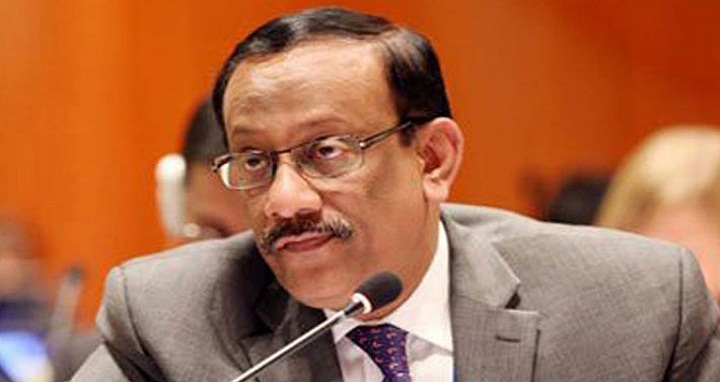 Dhaka, 13 August, Abnews: Foreign Secretary M Shahidul Haque on Monday reiterated that the repatriation issue in any country is a very ‘complex and difficult’ issue which cannot be done overnight. "They (Myanmar) have shown what preparations they’ve taken so for taking Rohingyas back from Bangladesh. I would say something is done," he said while responding to a UNB question. While talking to reporters after an event at Dhaka University, Foreign Secretary Haque said such process cannot be done quickly as confidence building among Rohingyas matters. “We’re hopeful (of repatriation of Rohingyas),” said the Foreign Secretary adding that it will not be wise to get things done hurriedly. He said they have seen vast paddy fields and very fertile land there, and construction of a big village by India and some reception centres. “We had frank discussions on repatriation issues,” Foreign Secretary Haque said adding that the Myanmar side, in all discussions, expressed willingness to take back their nationals. He indicated that the next joint working group (JWG) meeting between Bangladesh and Myanmar will be held in October next to discuss the repatriation issues further. On Friday, Foreign Minister AH Mahmood Ali emphasised the need for accelerating efforts to create a congenial environment in northern Rakhine State and build houses and villages for returnees to facilitate the repatriation. Minister Ali along with joint working group members on Saturday visited the northern Rakhine State and saw the ‘trail of widespread devastation’ suffered by people there on Saturday. Myanmar's Social Welfare, Relief and Resettlement Minister Win Myat Aye accompanied the Bangladesh delegation comprising the Foreign Minister and Foreign Secretary M Shahidul Haque. Both sides agreed on the need for early settlement of the displaced people currently staying at the boundary line (zero line) between border pillars 34 and 35 to their original villages. Myanmar particularly requested Bangladesh to stop providing humanitarian assistance to those people by ICRC/UNDP/INGOs from Bangladesh side and proposed to arrange the supply of humanitarian assistance from Myanmar side. Bangladesh responded positively to Myanmar’s proposal to conduct a fresh joint survey of the boundary line between border pillars 34 and 35. Minister Ali was taken to the border on the Myanmar side where few thousand displaced Myanmar nationals have been staying at the zero line. He also visited reception centers at Taung Pyo Let Yar and Nga Khu Ya, the transit camp at Hla Poe Kaung having the capacity of 30,000 to demonstrate Myanmar’s preparation to receive the returnees. He visited Pan Taw Pyin village from where most of the 15,000 inhabitants fled to Bangladesh. Mahmood Ali was informed that the remaining Muslims and the peoples of Buddhist and Hindu faiths are currently living there. The Myanmar government has built 22 houses for internally displaced people and around 50 more houses for the returnees at the village. Minister Ali also visited Kaing Gyi village inhabited by ethnic Rakhine and Mro people.